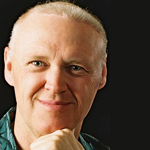 The Radiance 7 lineup includes Professor Tim Sharp from The Happiness Institute. Memories of childhood should ideally evoke a golden glow of warmth and family love. Tim will share his 100 ways to have happy children as a guideline to parents seeking to fuel that glow. Prof. Sharp will also explore the seven greatest myths about happiness and he will suggest strategies to avoid the pitfalls on the path to a more joyful you! Food warrior, Sherry Strong is an exciting newcomer to the Radiance team. Fresh from a dynamic Tokyo performance for ted.com, this controversial author will answer the question, “What and how am I meant to be eating?” Sally will also draw on her own experiences to describe her unique concept of “manfasting” where going without becomes the secret to going within! Radiance founder, Graeme Sait, returns with three dynamic new presentations. In “Healthy Soils, Hardy People, Happy Planet”, he describes the ultimate win/win scenario when we build humus levels in our soils (carbon sequestration). Not only do we solve many of the problems associated with a nutrient depleted, chemically contaminated food chain, but we simultaneously save the planet from a climate change calamity! In “The Death of Desire” he investigates the “frustration plague” and the impact of lost libido on your relationship. 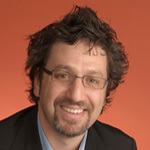 In his keynote presentation, “Reconnecting”, Graeme identifies a host of tools and strategies to reclaim connection, in relationships of all types. Professor Marc Cohen is back to explore the relationship between universal laws, human health, happiness and consciousness. He will demonstrate that wellness can be a function of relationships, consumption habits and stream of consciousness. Dr Helena Popovic is new talent for Radiance. She is a specialist in the emerging field of neuroplasticity, where research has shown that we need not be victims of genetics, brain dysfunction or substandard education. We now know that the brain can change its own structure and function based upon how we think and behave. In “Boost Your Brain – And Get Ahead”, Helena provides the tools for these changes. 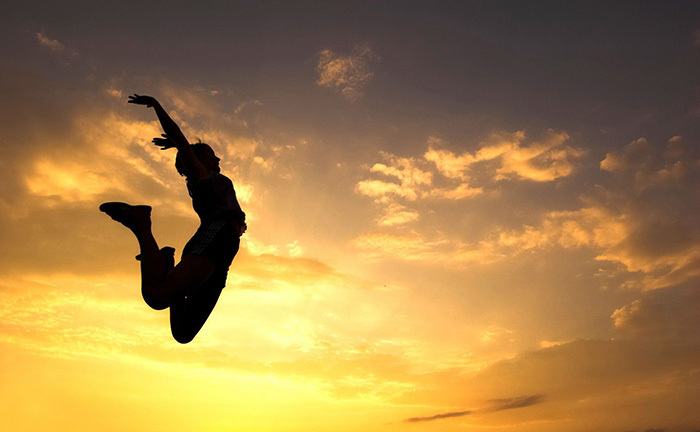 In her second uplifting presentation, “Come Alive and Thrive”, Helena bypasses the ocean of confusing and often contradictory health advice to deliver a simple and easily achieved game plan. She teaches the key steps to achieve a life of love, connection and fulfillment. Ingrid Poulson is an inspiring author/presenter who will share the secrets of resilience – the ability to bounce back from adversity. This is not an ability you either have or do not have. It is a learned skill and Ingrid will teach the techniques to enable all of us to rise up from the ashes and turn negatives into positives. Yoga guru, Simon Borg-Olivier is back for three 8 am Radiance sessions teaching the essence of his unique, mind body medicine. Relax and revitalise your Woodford experience with a yoga session led by an acclaimed Master. Author/educator, Annie Meredith, a star performer at last year’s Radiance, is back to launch her new book, “The Spirit of Woman”. In her presentation “Men and Women-Vive La Difference”, we recognise that gender differences can create spice or spite but we determine which. Annie gifts us the tools to savour the spice! In her second presentation, based upon her new book, Annie focuses on strategies to uplift your relationship so that the man in your life can’t get enough of you. Andrew Fenwick is an accomplished Natural Health Professional and Wellness Coach who is making his debut at Radiance this year. 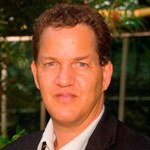 Andrew will focus upon the initial change in mindset that is required to embark on a life-changing wellness program. He will explore the development of the right attitude to fuel change. His entertaining presentation will also cover multiple strategies to achieve vibrant health and happiness. 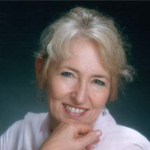 Joan Wilson-Jones is a sought after presenter who will chronicle our journey “home”. Home is the zone of health, healing and happiness and we find this special place through connection and reconnection with others. Joan combines a special blend of humour, research and genuine life experience to ensure her presentations are engaging, interactive and highly relevant to people’s day to day life. Geoff Lawton is a world leader in Permaculture who is appearing for the first time at Radiance. Permaculture is one of Australia’s most successful intellectual exports and it has changed the lives of countless people. It is often thought of as an innovative game plan for synergistic living with nature but Geoff will demonstrate how permaculture design principles are relevant to every aspect of our lives. Anthony Ackroyd is the first comedian to appear at Radiance. Laughter is an obvious adjunct to happiness and successful relationships but Anthony offers more than hilarity. He is an incisive social commentator and something of a philosopher who writes for some of the country’s leading publications. He has also written for comic geniuses like Rowan Atkinson and Jim Carey and has been a regular on “The Big Gig” and other comedy classics. Anthony has recently become renowned as Australia’s best impersonator of Kevin Rudd, and the PM may make a special appearance at Radiance this year. Radiance 7 offers an intriguing mix of entertainment, education and inspiration and it promises to be an unforgettable experience! Radiance 7 is held in conjunction with the Woodford Folk Festival in Queensland Australia. It begins on the 27th of December and ends on the 1st of Jan. Hope to see you there! Andrew Fenwick is an accomplished natural heath practitioner specialising in effective nutrition, complimentary medicine and personal development. He has developed a range of successful programs that unleash our potential to experience optimum wellness and equip us to make better choices in the core aspects of life. His recently published book, ‘Better Choices – Better Me’, delivers an easy to understand formula where we can use knowledge and logical positive changes to launch our new found health or effectively maintain our youthful future. Author and internationally acclaimed, Energy Medicine specialist, Annie Meredith has just released her second book “The Spirit of Woman”. 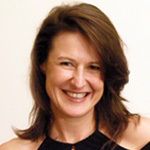 Annie has been at the cutting-edge of Mind-Body Medicine for 30 years and is widely recognised for her entertaining, compelling and humorous lecturing style. 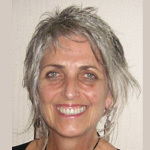 She has taught Traditional Chinese Medicine and Vibrational Medicine at the Australian College of Natural Medicine since its inception in 1983; Annie is well-loved and acknowledged as an inspiration in the understanding of the new Body-Mind paradigm. Her two books draw on her extensive clinical experience and assist women to get in touch with their feminine core. 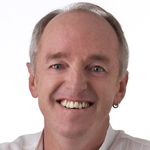 Anthony Ackroyd is one of Australia’s most successful stand up comics and comedy writers. He is currently one of the stars of ABC’s Thank God It’s Friday! Which is the top rating radio comedy show in Australia. As a standup comic he has produced laughter, live in front of audiences ranging in number from a private party of 10 to 110,000 at Stadium Australia. Anthony is a former star of the “The Big Gig” and” The Comedy Company” and has performed and written for over one hundred Australian and International TV shows, radio programmes, and feature films. Anthony has written material for Billy Crystal, Rowan Atkinson and Jim Carrey. He is recognised as an authority on the social impact of comedy. Due to his being “blessed” with an uncanny resemblance to our Prime Minister, Anthony has now become Australia’s No. 1 Kevin Rudd impersonator. 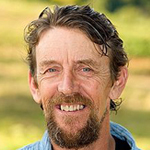 Geoff Lawton is a leading permaculture consultant, designer and teacher. He is a dynamic presenter who specialises in permaculture education, design, implementation, system establishment, administration and community development. In 1996 he was accredited with the Permaculture Community Services Award by the permaculture movement for services in Australia and around the world. Since 1985, Geoff has taken permaculture to the world. He has been heavily involved in consulting, designing, teaching and implementing principles in over thirty countries around the globe. Geoff aims to establish self-replicating educational demonstration sites. He has currently educated over 6,000 students in permaculture worldwide and his ‘master plan’ is to see aid projects being replicated as fast as possible to help ameliorate the growing food and water crisis. In 2003, Ingrid Poulson’s estranged husband killed their two young children and Ingrid’s father. Ingrid has arisen from the depths of this unimaginable tragedy and gone on to inspire thousands through her own compelling journey of resilience. Ingrid combines her academic background with her uniquely qualified life experience to build resilience in others. 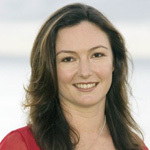 Ingrid runs her own company, Steadfast Training, is a qualified trainer, has appeared on Andrew Denton’s Enough Rope, holds an MA in Cognitive Science, and has authored “Rise”, a self-help book on resilience. Joan Wilson-Jones combines a special blend of humour, research and genuine life experience to ensure her presentations are engaging, interactive and highly relevant to people’s day to day lives. 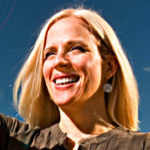 She is a highly sought after speaker and workshop presenter and her work is informed by real life experience (her own and others) and grounded in recognised leading edge theory and research. Joan’s capacity to bring humour and wit into her presentations ensures there is never a dull moment. She offers insights, information, real strategies and good doses of good fun – that has proven to be a healthy and highly rewarding mix! 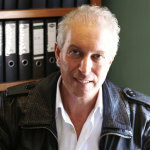 Professor Marc Cohen MBBS (Hons), PhD (TCM), PhD (Elec Eng), BMed Sci (Hons) is a registered medical practitioner with degrees in western medicine, physiology and psychological medicine and PhDs in both Chinese medicine and biomedical engineering. He is currently the Foundation Professor of Complementary Medicine at RMIT University where he conducts research and is Program leader for the world’s first online Master of Wellness Program. Marc is a captivating and inspirational speaker who has developed a unique perspective on the role of consumerism in our lives and relationships. Simon Borg-Olivier MSc BappSc is a lecturer, physiotherapist and yoga teacher of 25 years, who teaches a unique synthesis of ancient yogic wisdom with modern medical science. Simon is co-author of ‘Applied Anatomy and Physiology of Yoga’ which is the main text book for a course he developed and lectures in at RMIT University. Simon is renowned for delivering his immensely popular seminars while holding advanced yoga positions and demonstrating the physical/spiritual potential of this science.